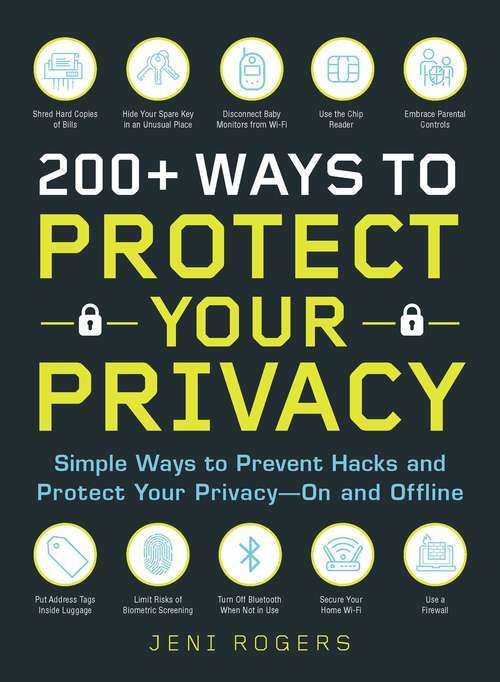 Discover simple strategies for protecting your personal and confidential information on and offline with this essential and easy-to-understand guide. We all know that the internet can serve as a hotbed for identity theft. But it isn’t the only place where your privacy can be breached. In fact, there are lots of ways you can protect your privacy (or diminish it) that have little or nothing to do with access to the internet. Your home, your photos, your trash can, your kids, your favorite restaurant or store—and even you have the ability to unknowingly reveal your private information to everyone from thieves to busybodies. But you don’t need to hire a specialist to keep your information safe—you can do it yourself with these 200+ easy-to-implement tactics, some of which include: —Shredding hard copies of bills — Turning off Bluetooth when not in use — Using a firewall — Hiding spare keys in an unusual place Keeping your information secure lies in your hands—make sure you’re not putting yourself at risk in your daily habits with this essential guide.